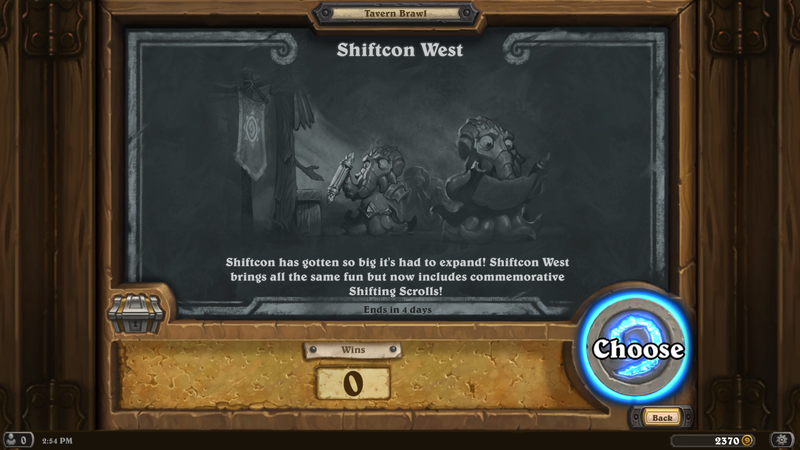 This week’s Tavern Brawl is a slight shift, if you will, from the classic Shiftcon brawl. In this newer version we get a scroll that shifts to a different spell every round. 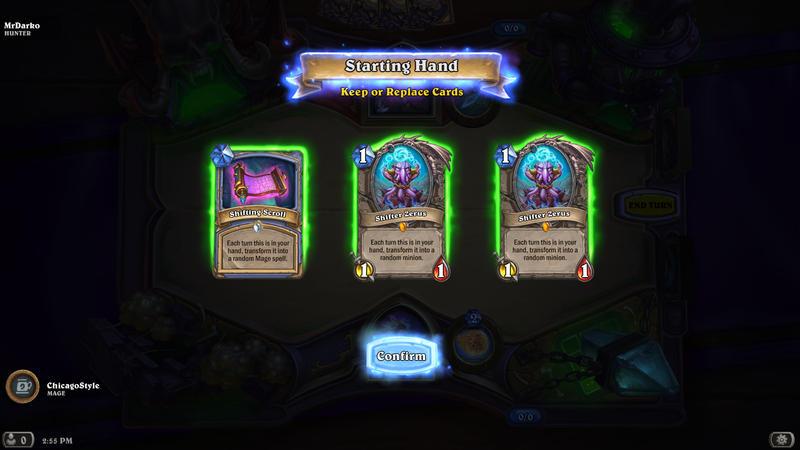 This is a highly random brawl, but there is a slight strategy. Should you wait, or should you use that spell, or play that minion. I tend to get something out early, then wait and play bigger minions later. Sometimes the game forces you to play cards earlier. There is one nasty spell, I’ll let you figure that out for yourself. So, get in there, have some fun, and get your free pack. I’ll be back next week! 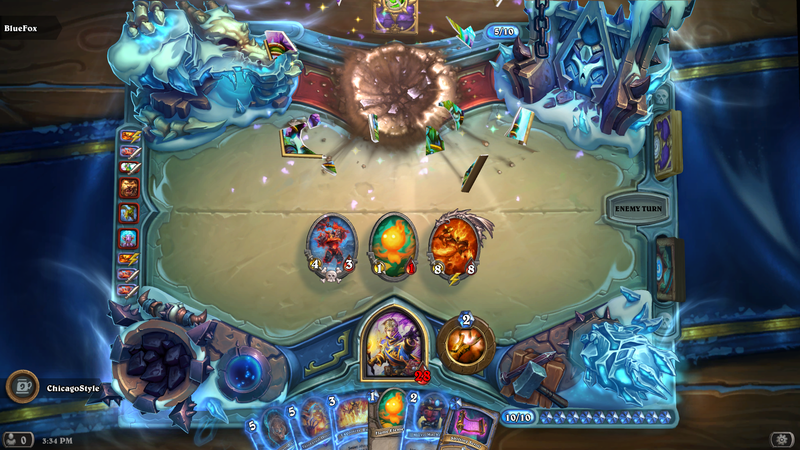 This entry was posted in Hearthstone and tagged Brawl of the week, Hearthstone, Shiftcon West, Tavern Brawl. Bookmark the permalink.